Always-on, always-aware, always low power; QuickLogic Corporation is the leading provider of ultra-low power, customizable sensor processing platforms, and display and connectivity semiconductor solutions, for smartphone, tablet, wearable, and mobile enterprise OEMs. Built with unique combinations of standard products and QuickLogic's patented programmable logic, the company's silicon-plus-software solutions are called Customer Specific Standard Products (CSSPs). CSSPs enable customers to bring their products to market more quickly and remain in the market longer, with the low power, cost and size demanded by the mobile and portable electronics market. QuickLogic's EOS™ sensor processing platform, ArcticLink® 3 S2 sensor hub and SenseMe™ algorithm library are designed specifically for consumer mobile devices where high accuracy and ultra-low power consumption are the key to product success. For more information about QuickLogic and its products, visit www.quicklogic.com. Japan Aviation Electronics Industries, Ltd. (JAE), designs, manufactures and markets electronic components, fiber optic connectors, LCD monitor connectors, waterproof electrical connectors and other digital systems. 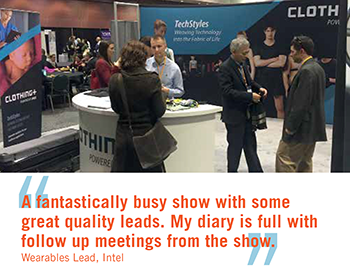 A global company, JAE is a recognized leader in providing solutions to complex design requirements. By combining divergent technologies from experience gained in the aerospace industry, JAE has been able to transfer these technologies into advanced connector designs. From connectors on Japan's Bullet Train, to the smallest hand-held video camera, JAE continues to meet the most demanding applications in the industry. Following in the footsteps of Charles Darwin, Sir Isaac Newton and Steven Hawking, our tech team have been busy developing the algorithms and platform that powers Zappar for over 4 years (when they could have been shooting pool or playing darts instead). We like to think of ourselves as an entertainment laboratory with a collective skillset that makes for a unique type of creative tech company. Dacadoo ag was founded in 2010 by the experienced Swiss entrepreneur Peter Ohnemus. The company has its headquarters in Zurich, Switzerland and has its US subsidiary dacadoo americas, inc. in Silicon Valley, USA. 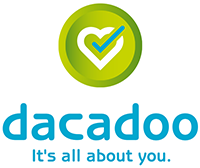 dacadoo ag is the provider of the dacadoo Health Score & Lifestyle Navigation Platform, which is being licensed to key Life & Health Insurance companies and global healthcare operators. dacadoo works also with companies and offers them corporate health solutions.